Your mouth is the perfect incubator for bacteria. It’s warm… it’s dark… it’s moist… and as long as you are eating, there’s an endless supply of food for these bacteria to multiply and spread all throughout your mouth. There are hundreds of different species of bacteria in the human mouth, and they replicate exponentially very rapidly. Fortunately, most of the bacteria in our mouths are helpful. There are only a small number of bacteria in our mouths that are harmful. These are the ones we are most concerned about. When the bacteria in your mouth combine with leftover food particles from a meal, they form a sticky substance known as plaque. 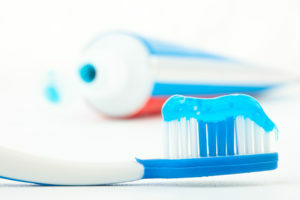 Plaque is constantly forming on your teeth. You’ve been taught since you were a child that you need to remove all of the plaque from your teeth with a toothbrush and floss. If you don’t remove the plaque from your teeth within a certain period of time, the minerals in your saliva (primarily calcium) will calcify the plaque, causing it to harden and turn into tartar. Another name for tartar is calculus. Tartar is the enemy of your gums. It is the main cause of this so-called “disease”. While your toothbrush and floss can be somewhat effective in removing plaque, toothbrush bristles and dental floss are completely ineffective at removing tartar. Think of tartar as barnacles on the bottom of a boat… very difficult to remove. It takes the specialized instruments of a skilled dental professional to remove tartar from your teeth. How long do you think it takes plaque to begin turning into tartar? A month? 3 months? 6 months? If your guess is in that range, you’re not alone. Many people think that since you are supposed to have your teeth professionally cleaned every 3 to 6 months, that must be how long it takes tartar to form on their teeth. The calcification of plaque varies from person to person, but generally speaking; it only takes about 12-72 hours for the plaque on your teeth to begin turning into tartar. Think about the last time you had your teeth professionally cleaned. Remember how smooth they felt afterwards? How long did that smooth feeling last… about 2 or 3 days? That’s because the plaque was already turning into tartar! Within a week to two weeks, it’s fully hardened. Once tartar has formed on the roots of your teeth, you’re losing the battle against gum decay.